Jamvudvipa is the name of the regions south of the Himalaya region as per ancient Indian texts. Some identifies this region with the Jammu region that lies to the immediate south of Himalaya in Kashmir. Others identify it with the whole of Indian peninsula that lied to the south of the Himalayan range and also consider Himalaya to be a mountain range that surrounds this region both to the west (the western mountain ranges in Pakistan , north (Himalaya proper) and east (eastern ranges in North-Eastern India and Myanmar) of it. 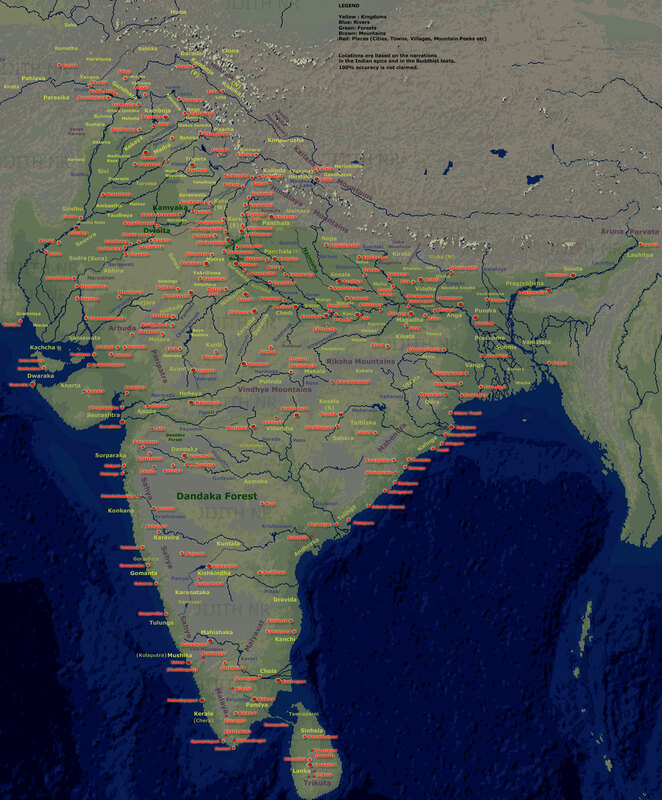 Below is the Ancient India Map I created in 2004. It is formerly added to Wikipedia under creative common license. It is also used by many web-sites dealing with ancient India. Jamvudwipa is the Indian Peninsular region which can be seen in this map. The smaller Jamvu region is the region south of Kasmira, between the rivers Vitasta and Chandrabhaga. It is not marked in this map. 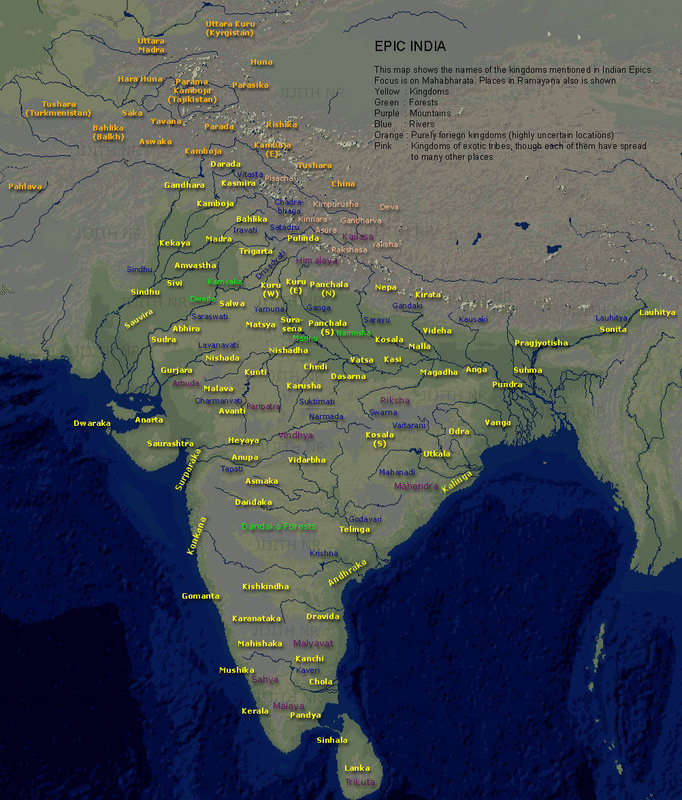 Below is the Ancient India Map I created in 2007. It is formerly added to Wikipedia under creative common license. It is also used by many web-sites dealing with ancient India. It contains locations of ancient Indian cities also along with the locations of the kingdom. Here too Jamvudwipa can be identified as the Indian peninsular region. The smaller Jamvu region is the region south of Kasmira, between the rivers Vitasta and Chandrabhaga. It is not marked in this map.